As many of you know Seth and I went through a traumatic event nearly two years ago. We lived in a Fisher House for 11-months and we literally lived each day as it came. We couldn't plan ahead because we truly had no idea what the future held for us. A couple weeks ago, I saw someone I hadn't seen in over two years and I was nearly brought to tears when they gave me a huge hug and stated how much they are inspired by us as a couple and how happy they are for us after all we went through. The truth is, I wouldn't be where I am today without my wonderfully, optimistic husband. For the first three months after the accident, I was depressed and every single day, I asked various versions of "Why us?". I couldn't understand what we did to deserve such a horrible, life altering experience. One evening, I was crying at Seth's bedside while he rested after a long day of physical therapy. I was blatantly honest with Seth and told him how I was feeling. Among those feelings were being mad, sad, and confused. The many questions I asked were: "Why did this happen?....Is this why we miscarried a few months ago?...Why us?...What did we do to deserve this?" Seth's answer in summary: "What's done is done and we can't change it. I have to live with it and there is no reason to be mad at anyone else, but myself." From that day forward, my outlook was different. It was as though a light switch turned on. I didn't cry myself to sleep anymore and wasn't depressed about what life had dealt us. I was proud of Seth for being positive despite the life changing events that had happened and ready to tackle the challenges yet to come. I simply couldn't continue to ask "Why?" Instead, my train of thought changed to thanking God for Seth's life and being blessed with caring friends and family, nurses, doctors and therapists. We thanked Him for putting a roof over our head and for the military supporting us through the entire process. With Seth's positive attitude, I realized we couldn't change the past and I began to put my faith in God. I became more patient (a virtue I had little of prior to the accident) and realized I must put everything in God's hands because He has control and I do not. This was very difficult because I am a type A person. Several days a week, I searched the internet for scripture that described my thoughts and feelings. 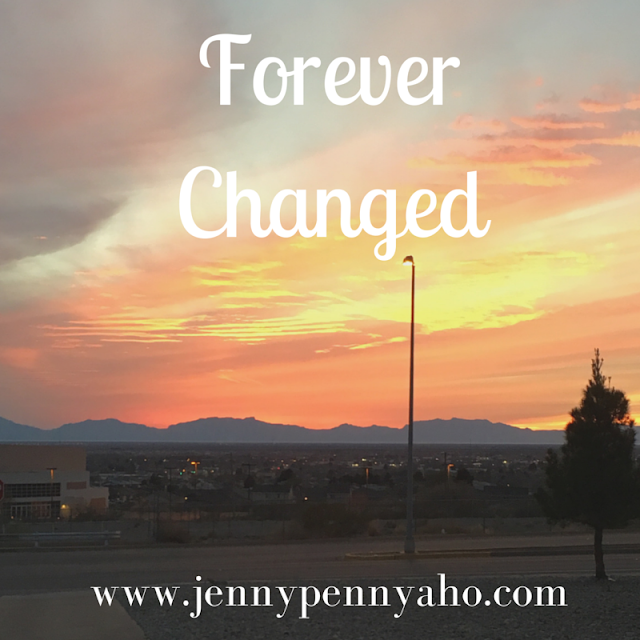 I found comfort in the scriptures and my friends and family saw a change in me. Early in his rehab process, we made a promise to start going to church together. After 11 months of being away, we got settled back into our home, found a church that suited us and starting going every Sunday. We went for about two months and I decided I didn't want anything for Christmas, but instead, wanted to renew our wedding vows. We chose White Sands National Monument and nearly froze our butts off while our photographer snapped gorgeous photos of us. Our pastor informed us he never cries for ceremonies, but found himself getting teared up when we said our vows. He generously invited us to join a small group to support other people and learn and grow closer to God. We agreed and started going in January. These past seven months have been a blessing and we have learned about God, ourselves, other believers and we have strengthened our marriage with one another. I don't tear up every week at church while singing the songs*, but today was different. Today, I found myself tearing up for all of the songs we sang. It inspired me to write this post. Every song had special meaning and made me think of what we have been through. Every song made me remember God has a plan and we must put our faith in Him. I am so thankful to be where I am today. I am forever changed. *Songs: "It Is Well" and "10,000 Reasons"
Such a powerful testimony! God is awesome! Spread your story for His glory! Love you both so much. I am thankful to be your sister.